Lake Superior Big Top Chautauqua, LTD. | Join The KEEPERS! Lake Superior Big Top Chautauqua, LTD. The KEEPERS are a group of fun-loving, caring, and interesting people who value the presence of music, arts, and culture in the Northwoods. Funds supplied by The KEEPERS are reserved for long-term and facility needs, providing the support needed to take Big Top into its exciting future. The KEEPERS will help ensure that Big Top remains a beacon of inspiration for this generation and the next. CAPTAIN ~ Season ticket tab with September invoicing, VIP parking, plus all below. BEACON ~ Personal Ticket Concierge, Season Lawn Pass for two, plus all below. KEEPER ~ Custom KEEPERS pin, Advance ticket ordering and preferred seating, plus all below. WICKIE ~ Invitations to special events, Recognition at the tent, in the annual report, and in KEEPERS mailings. 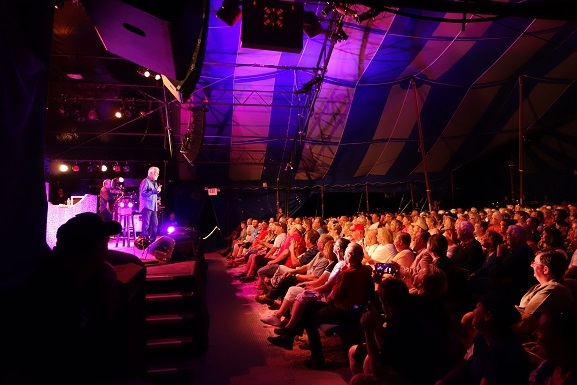 Donate 100% - Add 3% so that 100% of the donation goes to Lake Superior Big Top Chautauqua, LTD..
Lake Superior Big Top Chautauqua, LTD. has partnered with Network for Good to securely process your online credit card payment via Network for Good (tax ID 68-0480736). This transaction will appear on your credit card statement as "Network for Good." This transaction is subject to Network for Good’s Privacy, Security & Disclosure Statement and the Charitable Solicitation Disclosure.